So we went directly to my good friend, architect John C. Williams, principal and founder of Process Creative Studios, to get his point of view on the importance of product specification. It’s not just about architecture. It’s all sorts of interactions that provide inspiration for me every single day. I look at sources outside of the architecture, because of the interdisciplinary approach we take with our designs. We create beautiful buildings and spaces, but if they don’t function well as a primary result, we’ve done a disservice to our client. The inspiration for design comes from everywhere. Q: What determines how to get your product specified by architects? A: When we start to work on a project and the design is to a certain point, we begin to think about the materials and the products that we want to use. We look for what specific products fit the vision for the design. We may contact a sales rep that we’re comfortable with, let them know what we’re looking for and ask them what they have that might be a good fit. We also do online research and turn to Google like everyone else. We often get frustrated when visiting manufacturers’ websites because the dimensions or material specifications are difficult to locate or the critical data that we need as designers and specifiers is simply not there. We also want clear and concise technical drawings and photographs of the product installed to provide context to help us make a selection. Beyond having a great product, you need stellar sales representation. If you don’t have good representation, it doesn’t matter how great your product is because it won’t get in front of an architect. A great product and great sales representation go hand-in-hand. Q: Once you’ve specified a product, how can brands ensure that it actually gets installed? A: Once we’re done with the design process, we must deal with two pragmatic issues: cost and timing. Cost is a major concern. Often the price per square foot may be quoted at one price but ends up being much more after other expenses are tacked on. Reps need to be clear about what budget numbers they are providing for what scope. Timing is absolutely critical. If a product cannot arrive within the promised timeframe, it greatly impacts the project and decreases the chances that the architect will work with that product (and company) in the future. Architects like to work with sales reps that are honest and straightforward about how much time it will take for a product to arrive. Don’t go for the short sale at the expense of a long-term relationship. A good sales rep wants to be the first person we call with questions and they want to be honorable, even if it means not having their product on a particular project. Once a product is specified, there is often something that changes on a project that may impact the specification. Sometimes we’re forced to look at alternatives. Up to 25 percent of what is specified may be changed during construction. We will fight for the specifications that we put on our drawings but that doesn’t mean we’re not open-minded. Ultimately, the project is client-driven and we do what’s in their best interest. 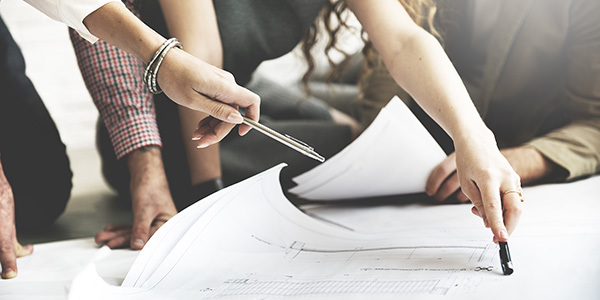 Be mindful of the architects’ product specification process and provide them with all the information they need to select and install your product. Think you know what inspires an architect? Watch an find out.